Okay, now I can get to the “first time it every happen to me” moment that occurred on 3 Jun. Before I get into that though I’d like to make a plug for a friend of mine. His name is Tony Johnson. He is the owner of Doce Restaurant and he also sells real estate, including houses and land. This is just a small attention getter to make y’all aware that it is an option. 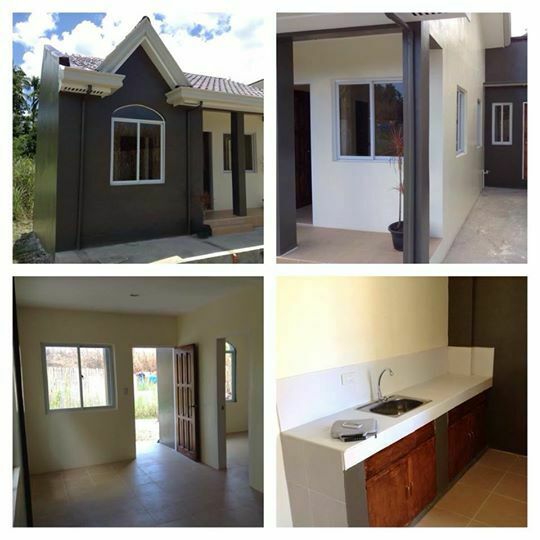 If you need any information about these properties please let me know and I’ll get you in touch with Tony. I’m hoping that by doing this for him, it will increase my views on this site. The seem to be a bit lacking these days, especially in the ad clicking department. Anyway, here is a picture of a few of the models he has available. There are more and I hope to get those on here in future posts. 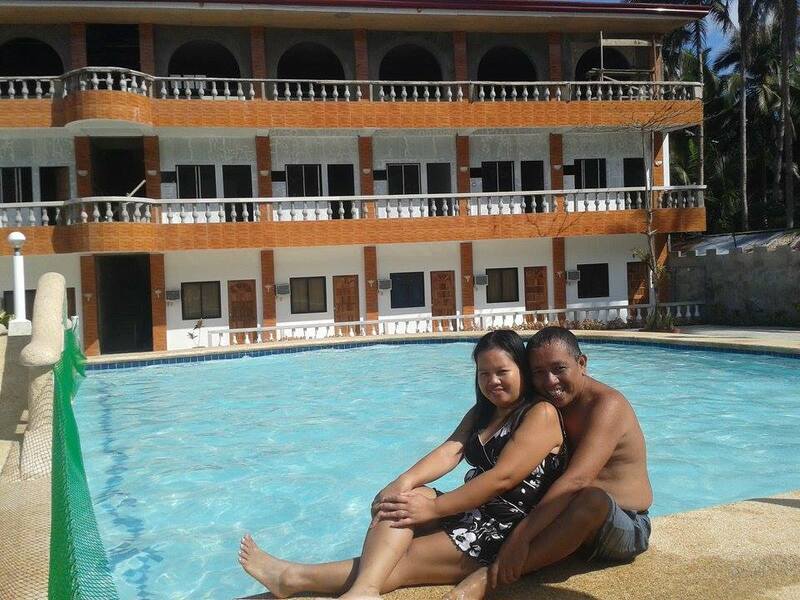 On the 3rd of June, just a few days ago, I went with my wife Lita to downtown Calbayog Calbayog (Calbayog Proper). It was early evening (around 5pm) and we were there to get some pesos, plus Lita had thoughts of getting some Halo-halo at Chow King. So our cousin Titing (nickname) takes us downtown in his tricycle. He wanted to wait for us, but Lita said no because we were just going to go elsewhere after and she figured we’d just take the short walk and he could maybe get some more customers to ride. So we stop first at a M. Lhuillier Pawnshop to receive our Xoom money transfer and then walked over to Chow King. Well, like I said, Lita had “thoughts” of going there, but she didn’t inform me until we were already there that she only came because she thought I wanted to get something there. I didn’t. I wasn’t hungry enough to have to pay for food when we still have plenty at home I can get later. So, although she had already ordered her halo-halo, she cancelled it and we just left. We leave Chow King and when we got to the next corner we see Titing with a customer heading the other direction. He asks if we are ready to go home and Lita says yes. He indicated that we should stay there and he would come get us after he drops off his current fare. Okay, so we waited. We always say that if we have to pay to ride, we might as well be paying a relative. He might buy some beer later and share it, so that always keeps me going. 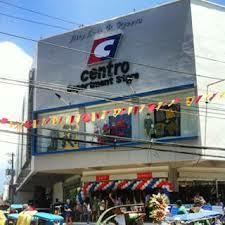 So we’re standing waiting on the corner with the Centro Department Store right there behind us. I had my back to the store when I heard a commotion. I turned to see this kid wearing a red cap running across the street towards Nijaga Park with a female security guard hot on his heels. I figure he shoplifted something and was making a break for it. You could tell right off though that the not so young and in less than great shape guard was not going to catch that skinny young boy. As she is heading up the steps to the park she motions to 2 police officers walking up the sidewalk as to what happened. They head out down the road in the direction the kid was running. Now both these police officers are carrying automatic rifles, but I figure that, if that kid was smart, he had already stopped running, mixed in with a crowd and got that red cap off his head. The police didn’t see the kid as he ran out, so they know nothing of the red cap anyway, unless the guard told them. Either way, if that boy ditched the cap, they won’t find him. The whole front of the store is crowded with customers from inside trying to get a glimpse what what is happening. They stayed there for a few minutes until they saw the security guard coming back, empty handed. I figure the kid got away, but I’m sure the police were still looking for him. Titing came by just a few minutes later and we headed for home. The spot where the kid ran out of the store, I was just standing at a less than a minute before. I was pacing back and forth waiting on Titing. I wonder what I would have done if I would have been in a position to stop him for the guard. He did not have a weapon that I could see, but he most likely could have easily avoided me if he suspected I might do something. Would I have done something? Should I have done something? Would you? I guess we will only know for sure when/if we are in the situation to actually test ourselves. Interesting question John. I might have been tempted to stick the old leg out and quickly walk away. If questioned claim it was an accident and play dumb. Something I’m pretty good at, lol. I mean I don’t mind stopping the bad guy, but I don’t want to get any of the bad guys mad at me either. Most likely this was just a random kid just shoplifting, but he could be part of a larger syndicate also. I’m thinking that most likely I would have at least tried to stop him. However I never was very quick, even when younger and now I’m older and even slower. John, you could have picked up a Padjak bike and hurled it at the kid! Maybe if he was closer. He was already across the street running up the stairs to the park before I even saw him. Heck if he was close enough for me to throw a heavy trike, I might have been able to slow him down enough for the guard to catch.